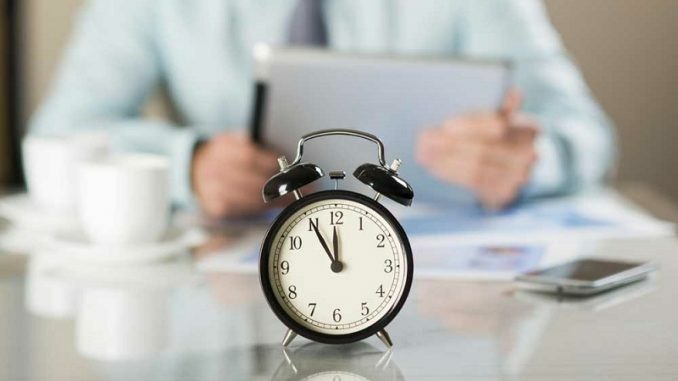 Everyone would like to do more things in less time, have an effective time management. And common desire among many sellers as well as among professionals and entrepreneurs. Many have a busy schedule of meetings, many work a lot of hours a day, every week of the year, with the exception perhaps of a few moments around the holidays. Still others have employees and partners to continuously manage and a high amount of other commitments. Quickly enter the merits; it must be considered that to have more time available, it is often necessary to make changes to their habits. Especially professionals and entrepreneurs, often in addition to not delegate even when possible, do not possess a sufficiently organized and efficient way to carry out their commitments. Yet, they know that their growth and their success depend on the ability to create a self-supporting, i.e. which also functions in their absence perhaps thanks to a group of employees motivated, reliable and qualified. Has it ever happened to you? Do you know why it happens? This phenomenon has been studied by Cyril Parkinson’s in the late 50’s (Parkinson’s Law) evaluating realistically (and even a little ‘ironic) problems related to time management and functioning of business organizations. Everything starts from this first statement: “Work expands to fill all the time available to complete it. And then, the more time you have and the job seems more important and challenging.” This often leads to ensure that: “The more time you will have available, the more you will waste“. Witty our researcher, is not it? So let us focus on completing the task in time thus established. 50% of what you are doing might be a distraction! To provoke you, I begin to tell you keep track Facebook, Twitter or WhatsUp, if not strictly useful to your business, can result in a great deal of time and is doubly damaging if the information that you draw are not relevant to what you need to play. Continuing, the time devoted to newspapers, websites or blogs to capture information not related to your business is a waste of time. Furthermore (and here the challenge reaches its climax …) also continuously read their mail “business” or “personnel” during the hours you should devote to the highest productivity, it is a waste of time. On the contrary, focus on their business and on their business to improve it and “systematize,” it is gaining a lot of time. It is important that you do once a careful selection and to give you the rules on time management that you strive to respect yourself. Many often create a list of things to do (To Do List) but always complete the first things that involve minimal effort or the things they want to do at that time. Operate in this way as well as professionally disastrous significantly reduces the time available because it leads to do important things when they become impossible to ignore, that is, just when, there will be more difficult and it will take more time to do so. Among the good habits should be there to wake up early, at the same time each day, make a minimum of physical activity, leisurely breakfast and then spend the first five hours of the day (the most productive) to do only those activities which are directly Related incremental its turnover. Have a “To Do List” to date that works not for emergencies, but priority is essential. All actions must be guided by an order of priorities, not by the urgencies. Adjust as you see very simple, as unapplied. There are methods, tools and techniques of time management to effectively manage their time. Changing your habits can help you “earn” time to “spend” to work more calmly and without stress, to cultivate your interests, to spend more time with your loved ones and to improve your well-being. Are you interested in these benefits?